In 2019 the "S.A. Agulhas" will start a search for the polar exploration ship "Endurance" which has not been seen since 1915, when it was crushed by sea ice in Antarctica’s Weddell Sea during a failed Trans-Antarctic crossing by Ernest Shackleton. A team of scientists will attempt to locate the wreck when they visit the area to study the Larsen C Ice Shelf, the mega-iceberg that broke off the continent in July 2017. 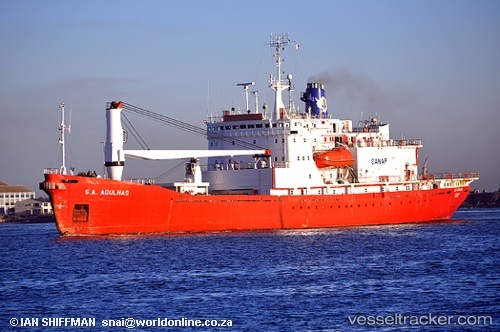 The "S.A. Agulhas II" should reach the area in January or February as part of the Weddell Sea Expedition 2019. But the search for the remains of Endurance will be contingent on if the crew has the time and opportunity to send an autonomous underwater vehicle (AUV) to the right location. They are fitted with downward-looking multi-beam echosounders, which can map out on a grid the shape of the seafloor. The final position of the ship when it sunk Nov 21, 1915 was believed to be about 100 to 150 nautical miles from Larsen C, making the ship an irresistible target. If it is found, it’s likely to be in excellent condition because the Antarctic Circumpolar Current may have kept wood-boring sea worms from damaging the wreck, which, if discovered, will be declared a protected historic monument. It would be surveyed, photographed and filmed it and document its condition. “If there are deep-water marine species colonizing the wreck, the marine biologists may try to obtain scientific samples using the Remotely Operated Vehicle (ROV), if that can be deployed above the site from the ship. However, we will not remove any items from the wreck. A big ice-breaker ship will be coming up the Thames at around 3pm this afternoon, Mon, Dec.3, 2012 - coming from Canary Wharf and up through Tower Bridge before mooring alongside the HMS Belfast for three days. S.A. Agulhas is the expedition ship for Ranulph Fiennes’ latest and last polar expedition, where he is attempting to become the first person to cross Antarctica during winter. The ship is in London taking on board vital equipment and supplies for the expedition, before she departs with a royal send-off from Prince Charles on Thursday 6 December.